Ever been to Warren Valley Golf Course before… we have! 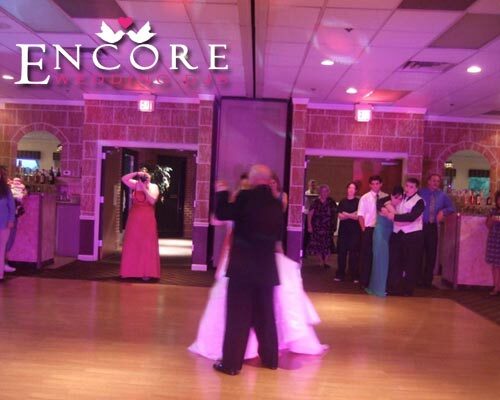 Joe and Patti hired Encore to provide the DJ entertainment for their wedding reception. Since the bride and groom had an online play list, we knew exactly what they wanted before they even stepped into the hall. It went above the typical 6 hours and guests requested a variety of music including Aerosmith and Michael Buble. The groom even did this crazy stunt during the garter removal that involved a scuba mask! Good times with great people.